Pre-heat broiler on High. Make one layer of bread on a baking sheet. Toast the bread slices under the broiler for 2-3 minutes on each side. Allow toast to cool slightly. Whisk the cream until it thickens and becomes fluffy. Fold in the mustard and chives into the cream. When the toasts have cooled, top each one with a teaspoon of the cream. 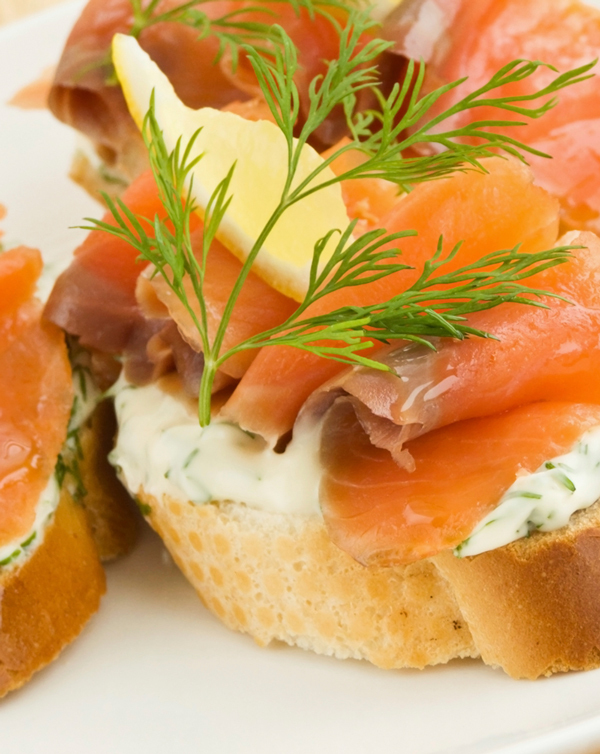 Sprinkle the capers, salmon and dill on top or each toast. Serve immediately.